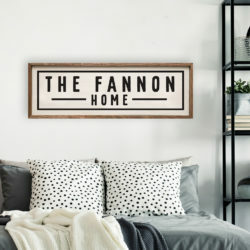 Our simple and chic custom typewriter zip code wood sign makes a great going away gift and/or a way to display where you came from in your home or office. 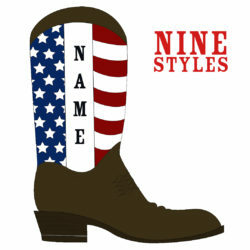 The 31st Annual Edgewood Pro Rodeo is almost here and so are the Shimlee custom printed rodeo boots! Choose from our two 2017 best sellers or one of our new designs. 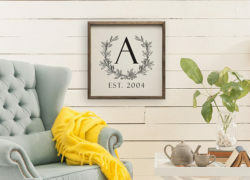 **This product is only available for local pick-up in Edgewood, Iowa at The Markket and is excluded from promotions/offers. 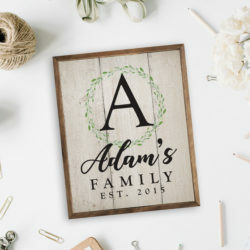 Give a thoughtful gift, or give your home a romantic-rustic touch, when you purchase the custom whimsical wood sign from Shimlee. 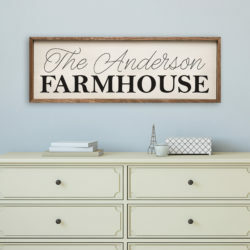 The 8×10″ is perfect for a desk, shelf, or entry table; and the 16×20″ is a show stopper in a gallery wall in your home, or welcome table at a wedding.